Azamara Club Cruises is in the midst of its maiden season down under. 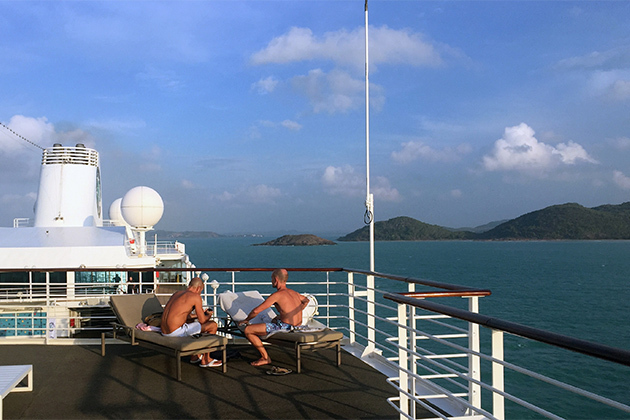 As its first time visiting Australia, Azamara Quest had a record 173 Australian passengers onboard (out of a total 580) as it sailed from Asia to its first Aussie port of call, Darwin, and spent New Year's Eve on remote but beautiful Thursday Island. 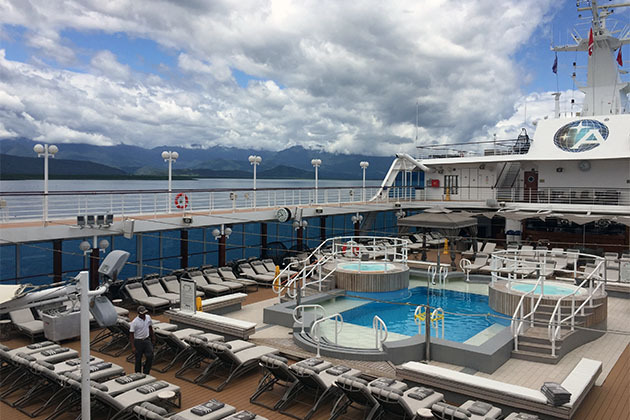 We joined the ship for 14 nights from Bali to Cairns, so here's a look at what to expect in Australia with this "boutique style" cruise line. As many Australians have never heard of this newcomer to our shores, let's start with who and what it is. Part of the Royal Caribbean family, Azamara has only two 30,000-tonne ships, both carrying a maximum 686 passengers -- that's at least half the size of most other ships based here. It's best known for its trademarked "destination immersion", focusing on passengers' experiences on land, rather than onboard. Having said that, this year Azamara is refurbishing both its ships: Azamara Quest, in April, and Azamara Journey, this month (to be completed for the 27 January sailing). There's no karaoke or bingo or bands playing on the pool deck all day. It's peaceful, relaxed and almost kid-free (although families are welcome). Selected wines, beers, spirits and cocktails are included in the fare, but it's not a luxury line. The decor is far from fancy. The dress code is casual. And only suite passengers get a butler. Azamara's biggest luxury is the generous time spent in port, with lots of late evening departures or overnight stays. This allows you to have dinner or drinks ashore, or simply dawdle back to the ship after a leisurely day, instead of clock-watching and worrying when you should be enjoying. The ship is spacious -- passengers aren't packed in or fighting for deck chairs -- especially on the upper decks, away from the pool. 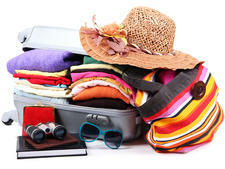 The average passenger is aged in their 40s to 60s, professionals or semi-retired, and well-travelled. 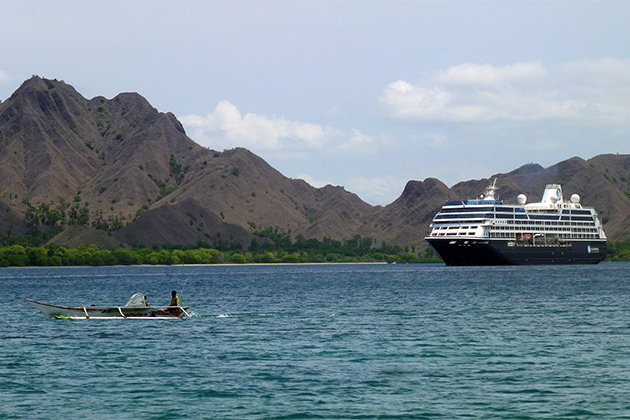 Azamara Quest's first Australasian cruise visited Komodo Island, Lombok, Darwin, Thursday Island, Cooktown and Port Douglas and overnighted at each end in Bali and Cairns. It was a great mix of Indonesian culture and outback Aussie lifestyle, plus the drawcard of the Great Barrier Reef. We recommend taking shore excursions in the smaller ports such as Thursday Island and Cooktown, where there are limited attractions within walking distance; Lombok and Bali require a vehicle to get anywhere from the cruise terminal (we were quoted US$60-US$80 for a taxi for the day). Our cash-saving tip: a guided tour on Komodo is identical and cheaper (US$35 for an hour) if organised independently. Just walk off the wharf and pay in cash at the national park office -- and yes, you'll almost definitely see dragons. For anyone used to a big ship, Azamara Quest may seem a little too quiet. But for anyone who dislikes busy, noisy ships, Azamara Quest is the answer to your prayers. There's no music on the pool deck (except at parties and the officers' BBQ), just one guitarist in Discoveries Lounge (who hardly plays his guitar), a pianist in the Casino Luxe Bar (who chats as much as he plays) and a DJ at Looking Glass (who struggles to get people dancing). We spent much of our time around the piano with Bill, a dead-ringer for actor Bill Murray, as we liked his dry banter (possibly because we felt like we were hanging out with Bill Murray). Shows in the theatre are low key: a magician, a comedian, another pianist, all of which we thoroughly enjoyed. 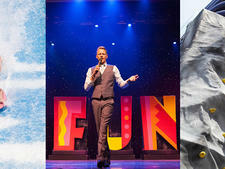 Of course, there are a few musicals, starring the ship's singers, dancers, the cruise director and his wife. But sometimes, after a long day of touring, we preferred a quiet nightcap with fellow cruisers. This seems to be Azamara's deliberate style, telling you to have your fun in the destinations, then take it easy in the evening when you come back onboard. The highlight was the White Party, which is held on every Azamara cruise, although it wasn't promoted, so most people weren't dressed in white. A band played poolside, people danced, and the outdoor BBQ was excellent. The daily program consists of your standard cruise ship activities: trivia, board games, bridge, movies, fitness classes, art auctions, health and beauty seminars. There was nothing standout to grab our attention and few passengers at the events we checked out. On sea days, most people sunbathe with a book, dipping in the pool to cool off; on port days, they go for a half-day wander, hire a car or take a tour. One thing not to miss is the Meet & Mingle. Our event, organised by Cruise Critic member Jeanette, saw almost 50 attendees. Overdue for a makeover, which will happen in April, the cabins are relatively small and dominated by dark brown furniture. Bathrooms are so compact that my partner had to sit sidesaddle on the toilet! Storage for two people is OK and four suitcases can fit under the bed (which wasn't very comfortable, thanks to a drooping middle insert, and it was too short for anyone over 6 foot). We also suffered from the lack of music facilities: there's only classical music on the TV and nowhere to plug your smartphone into speakers. The good news is that many of these issues will be addressed in this year's refurbishment. While nothing can be done to increase the rooms' size, the revamp will see new quilts and pillows, new lighting, furnishings, televisions, black-out curtains and bathroom upgrades. Suites will also be overhauled and new spa suites added, with modern decor, a private balcony with a bathtub, and a larger bathroom with two sinks and a rain shower. Bring it on, we say. Most of the Australians and other first-timers were happy with the food and service but when we spoke to past passengers from the United States, some said standards had dropped. 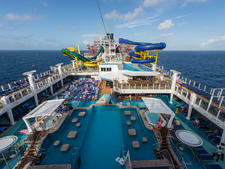 Expectations are understandably high on a ship that they love, especially when fares are not cheap. Generally, we found the food was good but quality varied between venues. We spent more time in the buffet than we usually do on cruises. This is because it was a civilised affair, with no queues or table shortages, but lots of hot food and fast service with a smile. It was lovely to start the morning with a freshly squeezed orange juice, smoothie or an energising shot of orange, carrot and ginger that can be picked up as you walk in. Windows Cafe was also the best bet to get your eggs cooked to your liking. Food options and quality were decent, although there was less variety than we've seen on other small ships, especially at breakfast. We particularly liked the different international cuisine featured each evening. Indian, Middle Eastern, American and Italian (special mention to the meatballs) were done well. We dined elsewhere so missed the French, Turkish, Mexican, Greek and Vietnamese buffets, but it was impressive to see no repetition in two weeks. While it's air-conditioned inside for those hot and humid days, the outside deck with plenty of shade is perfect for fresh-air, ocean-view dining. 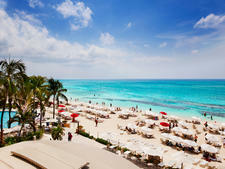 This area also has the Sunset Bar, which is open from 11.30am to 10pm. Surely dining alfresco, with a bartender nearby, is what cruising is all about! So we're definitely glad this outdoor eating area and the Sunset Bar will be retained and upgraded in the 2016 makeover, partly due to the protests of Cruise Critic members when Azamara announced plans to take it away. 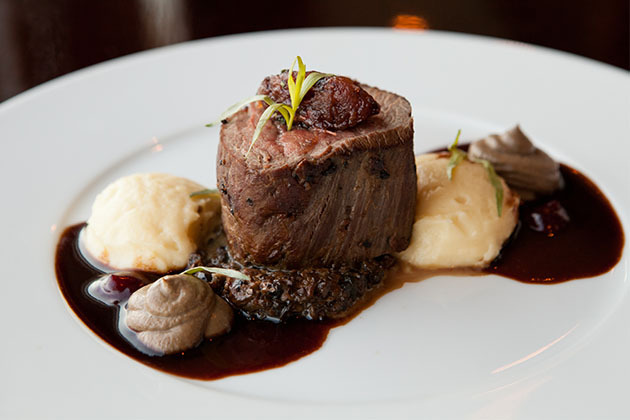 Hands down, the best dining on Quest is at Azamara's signature venues: Prime C steakhouse and Aqualina, serving modern Italian. The US$25 per head surcharge (free for suite passengers) is well worth it for the top-notch food, service and intimate atmosphere. Standout dishes include Prime C's chateaubriand and Aqualina's dover sole (deboned at your table) and passionfruit souffle. But you really can't go wrong; every passenger we spoke to raved about every dish they ordered at these two restaurants. Another nice touch is the shared table organised daily in both venues at 7.30pm, which allows eight guests to meet and eat together. While we never had a bad meal in the main dining room, we didn't have anything outstanding -- even the Christmas Day feast lacked festiveness. The New Year's Day dim sum was one of the best lunches on the ship, with a wide variety of dumplings, sushi, a Cantonese duck carvery, stir-fries and deep-fried desserts cooked to order. The jazz brunch was also delicious, except the band packed up an hour before the end, so we didn't actually hear any jazz. At dinner, be sure to keep reading past the three main courses (known as "entrees" on this American ship), as a healthy choice and a pasta are listed below, as well as the everyday menu of classic dishes. Fortunately, our experience was enhanced by the friendly maitre-d and excellent waiters (Jose and Javier were two favourites) and the wonderful people we met when sharing tables. Couples will also find it easy to get a table for two, even when it's busy. Seating is open, so there's no need to book or stick to a set time every evening. The menu, which changes daily, is posted at the entrance of the adjacent Discoveries Lounge every day. This was the biggest disappointment, as one of the best things about American cruise ships is the free and tasty snacks to be devoured poolside. Unfortunately we found the burgers were average, the guacamole was bland, the chilli tasted like bolognaise, and the buffalo wings were strangely pale and spotty. Service was also slow. After a couple of second chances, we gave up eating at the Pool Grill. On a couple of days, a BBQ-style buffet was held, which was outstanding. Don't miss the carvery of flank steak, juicy ribs, fried chicken, seafood paella and stir-fry station. Completely free and you can order it from your TV. The choice of meals is nothing special but handy for those times when you need it. Breakfast, ordered the night before, is a must-do on your balcony (the omelette is juicy, the coffee pots are large, and there's a nice healthy option). Be warned: the free beer options are Bud, Bud Light and Beck's, and there are only two types of free wine -- a selected white and a red that changes every day, but no sparkling or Champagne. Packages can be purchased for better brands. The best deal is the free cocktail list -- 30 in total, from martinis to pina colada. Again, better quality cocktails with fresh ingredients and premium brands can be bought separately. On every Azamara cruise, all passengers are invited to a nighttime event in a special venue at a port of call. In our case it was free beer, wine, canapes, a decadent dessert station and live music at Crocosaurus Cove in Darwin. 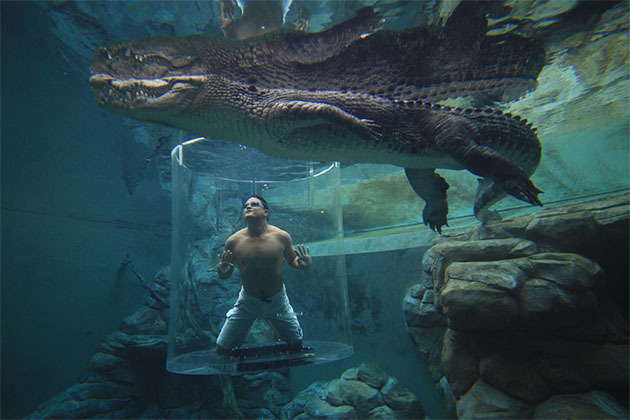 We had after-hours access to this tourist attraction, where we saw reptiles of all varieties, and watched as Captain Carl was placed into the 'cage of death' with massive crocodiles. Luckily he made it out alive, so Azamara Quest is still open for bookings. Azamara Quest is currently sailing down Australia's east coast and will visit Brisbane, Sydney, Melbourne, Port Arthur and Hobart before cruising to New Zealand. In February the ship then sails back from Sydney to Bali (cabins are still available). In 2017 and 2018, sister ship Azamara Journey comes to Australia and NZ, and will also operate a 101-night World Voyage from Sydney to London. 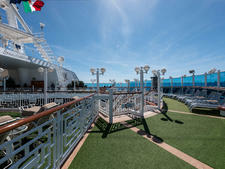 For more details about Azamara Quest, see our expert review and the most recent passenger reviews.